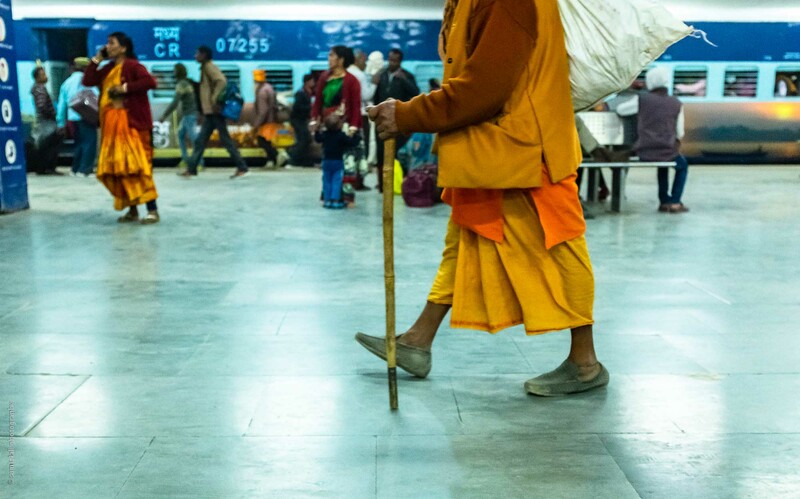 When I was visiting the city of Prayagraj (formerly Allahabad) during the Kumbh Mela 2019, I was amused and amazed by the vast diversity of the pilgrims I saw coming to the festival. 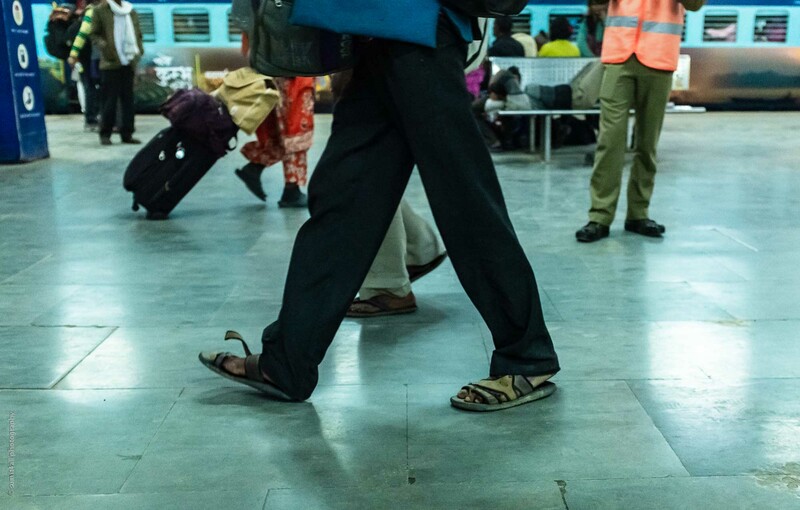 On my last day in the city, while waiting for my train back to New Delhi, I couldn’t stop but notice the legs and feet of the sea of people passing by. It was then that I started making some photographs which resulted in this photo essay. 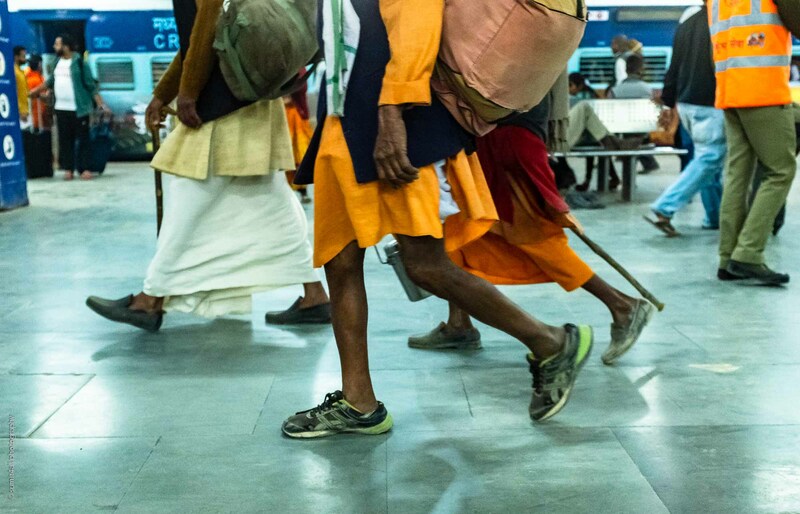 Pilgrims visit the Kumbh Mela from all parts of the country, and also from beyond that. 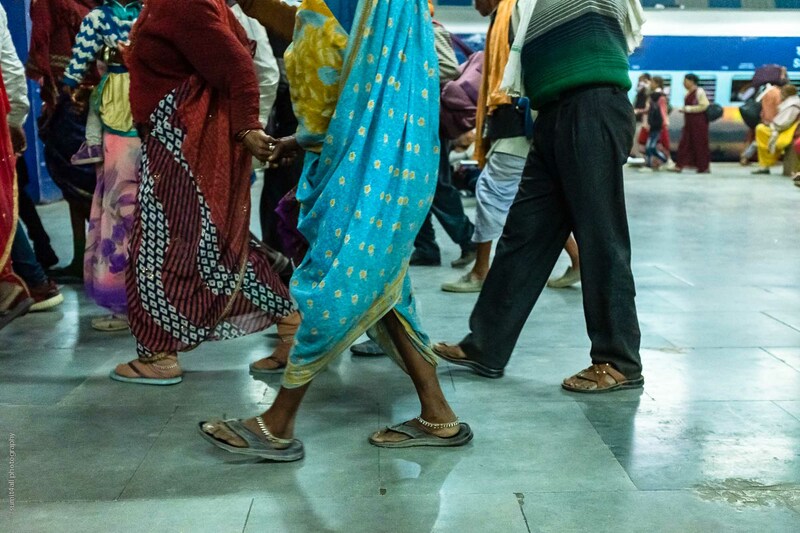 A quick glimpse at the continuous flow of people is enough to understand that most pilgrims arrive from small and remote towns and villages of India. Coming to the Kumbh Mela is like reaching a deep spiritual state, with a dip in the holy waters of the Sangam (where rivers Ganga and Yamuna meet) the highlight of their journey. Families, communities, friends and neighbours often make this journey together. Elders who have done the journey before share the experiences of previous Kumbh Mela’s with the newcomers. 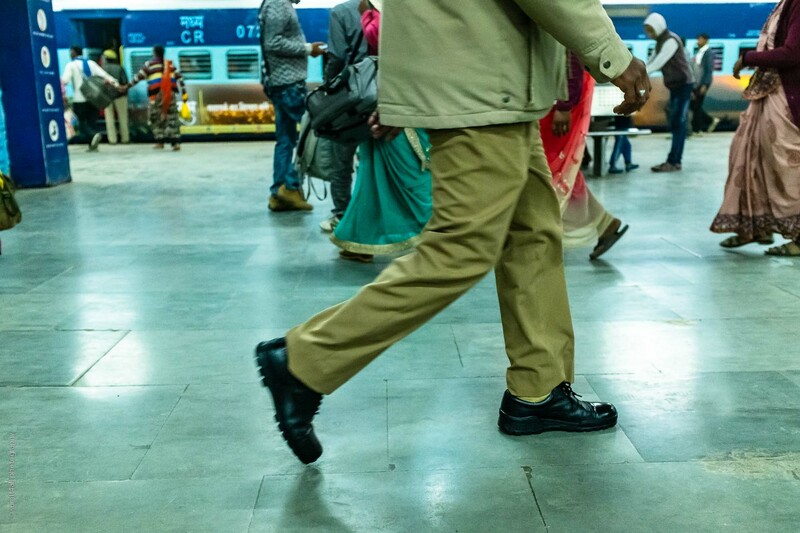 Something which often gets ignored but can also say much about our diversity are our legs and feet. This is what I choose to make the subject of this photo essay. 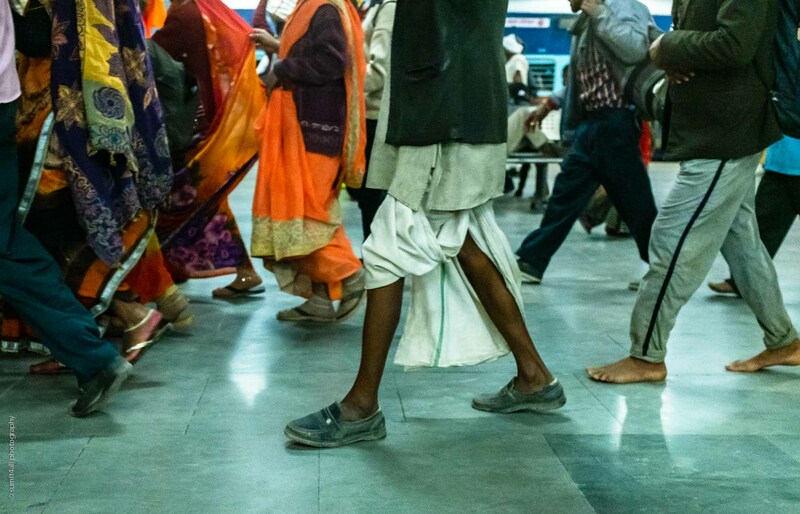 As I saw the stream of pilgrims pass by, I couldn’t help but notice and wonder at the vast variety of footwear and clothing people were wearing, or not wearing on their feet. 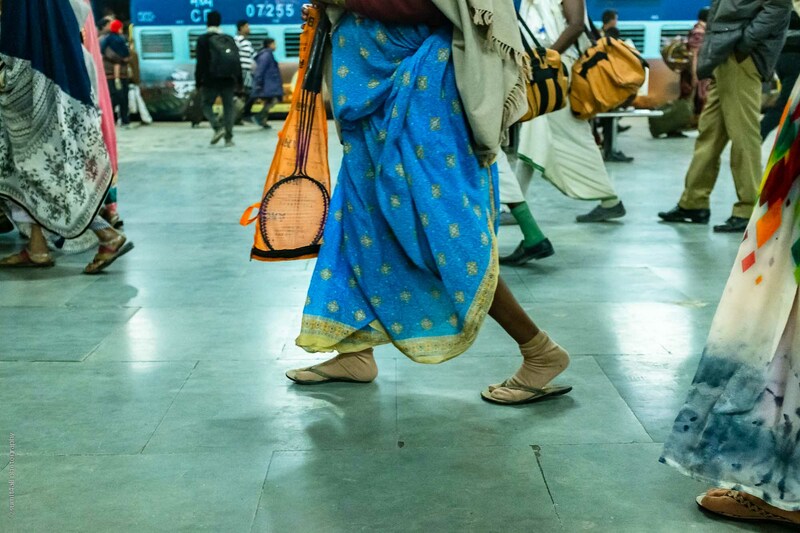 In these photos, you can see people wearing different shoes or chappals (slippers) in each foot, you can see worn out shoes worn on old legs, you can see Nike shoes on a pilgrims as he drags his luggage, and you can see the various different styles of women’s slippers. Extreme poverty has declined in India massively over the last decade. As per international figures, the percentage of people living on less than 2 dollars per day has decreased from 25% in 2011, to less than 5% today, and this is expected to drop further to 3% by 2021. That would be a watershed moment in the history of the country, and it provides new possibilities and opportunities for millions of its people that they could not have afforded before. The growth of a middle class will play a major role in expanding the Indian economy and improve the living standards of its people over the next decades. 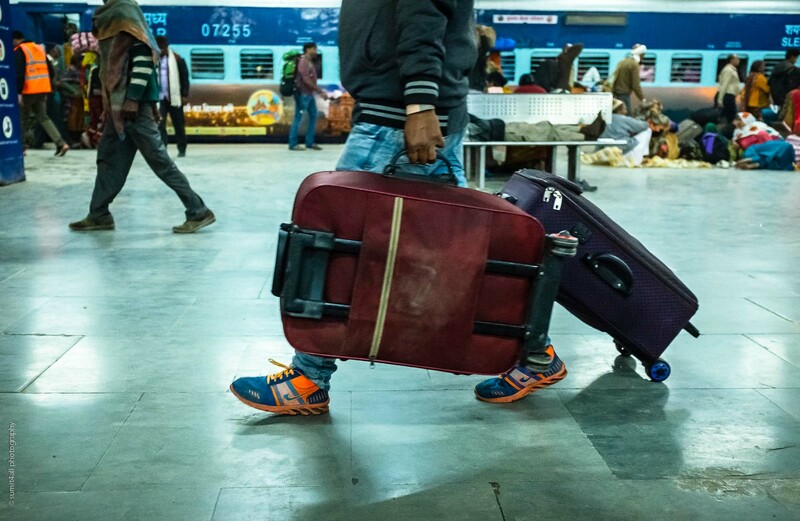 This year’s Kumbh Mela has seen the most number of people ever traveling and gathering in one place, and it is no surprise given how many more people can afford to travel now. 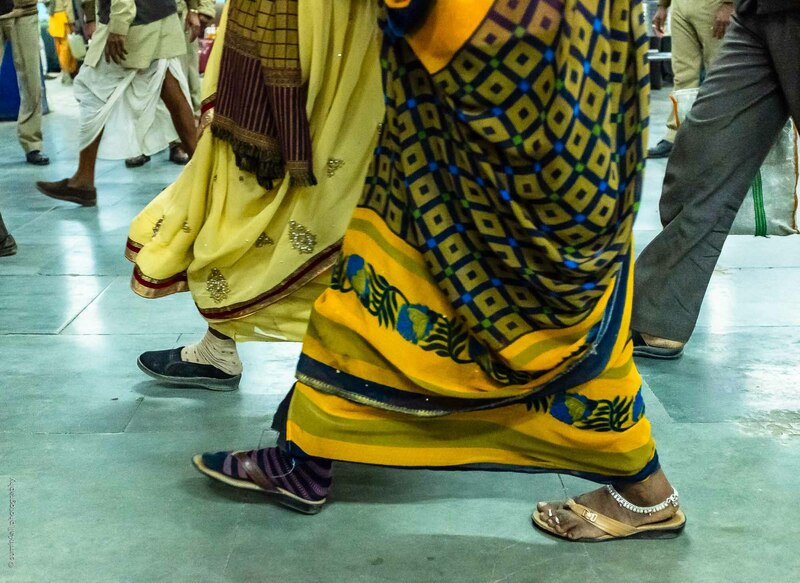 Shoes and footwear have always been an important part of our outfit in India, with its mention quite common in religious scriptures. 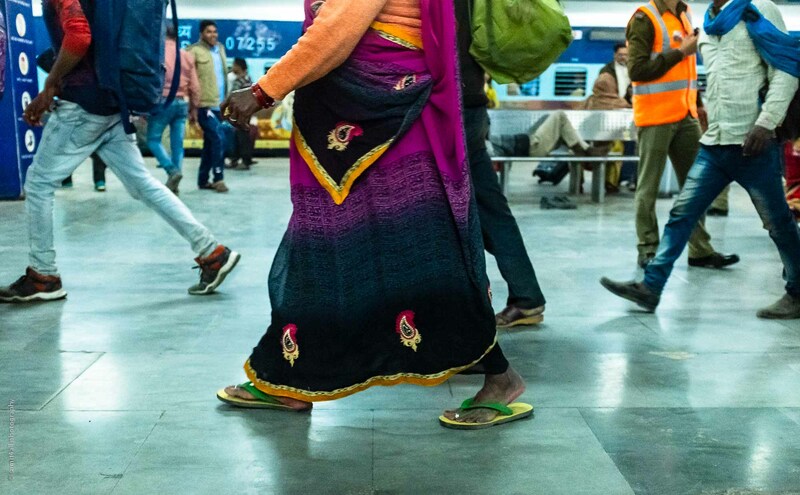 Indians are known for their unique footwear like the Paduka, Punjabi Jutti, Kolhapuri Chappal, Pula Chappal, and so on. 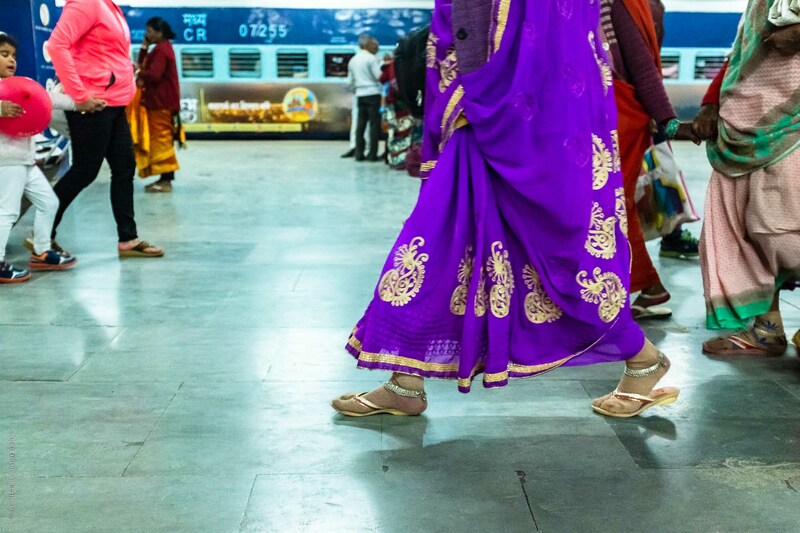 Wearing good footwear is not just an economic reality, but also an aspirational one, especially for women. 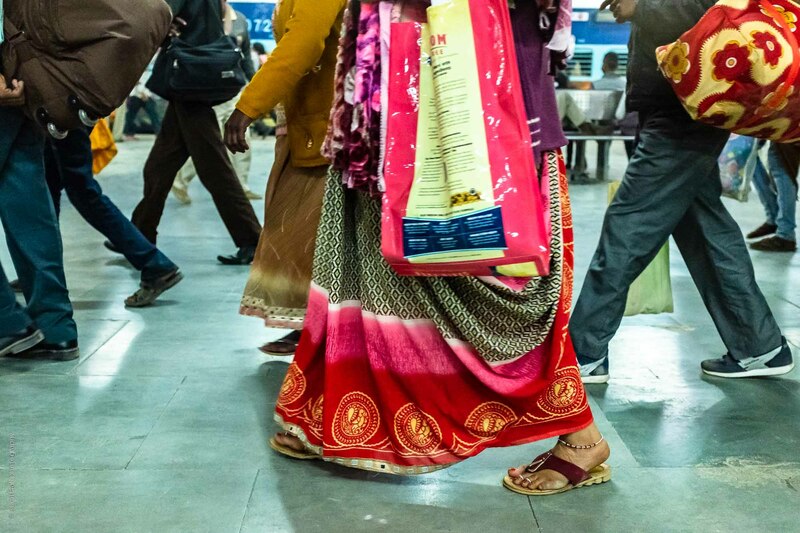 Women in India, urban and rural, are exercising greater influence on their families and society as their income and education levels increase, and they feel empowered to play a bigger part in the matters of the household than they have traditionally done. It is often said that India is one nation, but many worlds. And that might be true given the vast diversity of the country. After all, the country has 22 official languages, and 1,576 dialects are classified as ‘mother tongues’. There are several thousand ethnic groups, castes, tribes, and communities, and each has its own distinct culture, language, customs, and traditions. The stars are now aligned perfectly to herald a prosperous future for India. 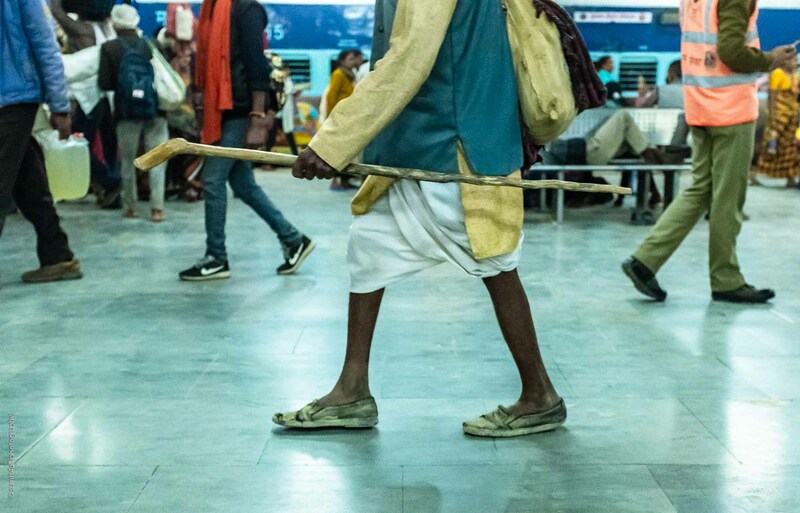 I am sure that in future Kumbh Melas, if I were to make a similar photo essay, I would encounter a lot more Nikes and traditional Indian decorated slippers than what we can see in this one.